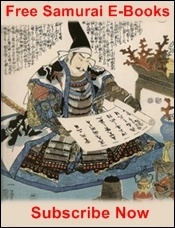 The history of the samurai (侍) is a story as long as the history of Japan in many respects, and that on its own would take a full website and perhaps several books to cover. 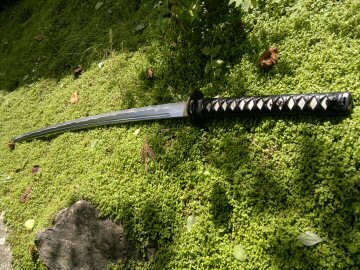 In this section of the website though I'll take you through the key points in Japanese martial history and how these events shaped and changed the samurai. 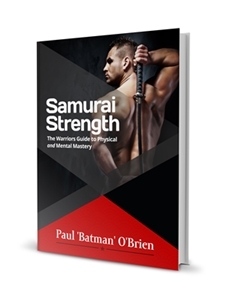 You'll see a list of links below that will help you navigate the important developments in both samurai culture, martial arts, weapons and armour developments and the central aspects of their philosophy. Below this I'll also give you a brief overview of the history of the samurai. 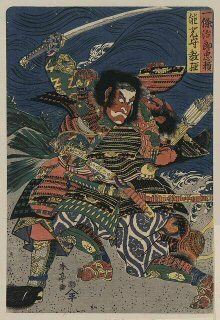 The samurai were originally servants of the ruling Japanese nobility, tasked with military duties. That is in fact the origin of the term Samurai. It originally read as "saburai", the Japanese pronunciation of a Chinese word meaning, "to serve". 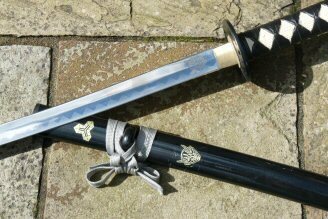 Later the samurai would become deeply linked with the term "bushi" meaning warrior, and today this is how most people view the samurai. The Asuka period or the "Asuka jidai" known by the poetic name or the "period of flying bird" begins with the introduction of Buddhism to Japan, by the monk Baekje in 538 AD. Buddhism would become a cornerstone of samurai thought and philosophy in the centuries to come. At this more immediate point however it preceded the start of a relative peace in Japan due to the efforts of Prince Shotoku, who developed a 17-article constitution for Japan. This document, known as the Jushichijo kenpo in 604 focused on the morals and virtues expected of government officials and those serving the emperor. Much like Buddhism, this document and its Confucian Ethics would have a huge impact on the development of samurai philosophy, the way of the warrior known as Bushido. The Prince also instigated widespread political and social reforms known as the Taika Reforms (Taika no Kaishin , 大化の改新), in 646 AD after defeat of the Soga clan. This united Japan and legitimized Chinese cultural practices within the Japanese government and aristocracy. The most impactful of these was the adoption of the Chinese Military system - one of conscription in 702 AD. The Emperor Mommu issued an edict requiring a quarter to a third of males to be drafted into national military called the gundan-sei. The history of the Samurai continued into what is known as the Nara period (710-794 AD) named for the move of the capital to Heijō-kyō, or Nara in 710 AD. At this time Japan was a mainly agrarian society despite the small amount of farm-able land. The indigenous Shinto (神道) faith flourished at the time due to its connection with nature (Shinto at its most basic understanding is a worship and appreciation of the spirit found in all elements such as tree's, rocks and even man-made items like swords or pins). With the new capital in Nara the city flourished and thrived. Better roads and an increase in the population lead to greater income. Better roads also lead to more efficient tax collection. Outside the city walls however things were not so good, with many destitute from having to hand over increasing amounts of decreasing produce. The government in Nara dealt with those that were struggling ruthlessly by seizing their land and expelling the workers and tenants. These people became furosha ('wave people' - as in tossed around by the waves, or homeless) and "public lands" increasingly reverted to becoming shōen (荘園 or 庄園), or government-owned land. The wealthy few and local land-holders wanted to secure their property and protect themselves so they hired bodyguards, local martial artists or those who had completed their conscripted military service. This was the first time that private citizens were employed to serve as soldiers/bodyguards/security and the a key point in the history of the Samurai. We'll continue the history of the Samurai in the next section, as it's pretty important and is worthy of a whole article in its own right - read part 2 - the Heian period here (coming soon). 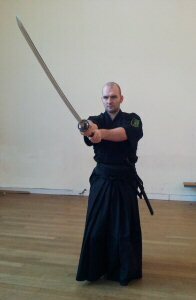 Return from the History of the Samurai, to the Way of the Samurai Home Page.